If you are working on a funeral plan for someone that you love, then two important decisions need to be addressed: the type of event and how the remains will be laid to rest. It is common for families to have clear preferences about the event, with a church or gathering location in mind. 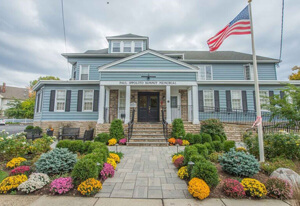 But, sometimes it can be a challenge to choose a resting place, especially when there are many options available for funeral and cremation in Essex Fells, NJ. 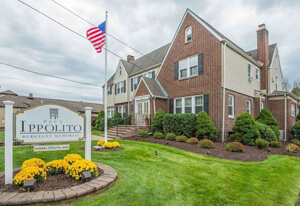 At Paul Ippolito Memorial, we know that you might feel worried or stressed about the way the funeral plan is designed. Our team is here to offer the support that you need during this challenging time. We want to be sure that you have clear information about your choices, without feeling overwhelmed by too much information. So, we’ve designed an easy funeral planning process that will walk you through the various options with the goal to cater the services based on the needs of your family. 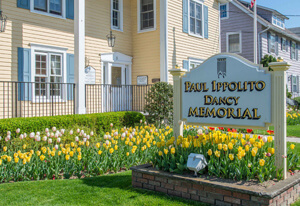 One of the reasons you should choose our team at Paul Ippolito Memorial is the customized services that are available for your family. We strive to focus on quality in everything that we do. Our caring funeral directors understand that every situation is unique. As such, we offer a listening ear and always pay attention to the needs and requests of family members. The funeral or memorial is more than just a formality. This event is a time when people can come together to share memories and find healing in the process. We believe that everyone should have a safe, comfortable place to mourn the loss of a loved one. These quality services are always offered to people regardless of religious beliefs, backgrounds, lifestyles, relationships, and more. We provide caring services customized to match your requests. A cemetery is a natural choice when you are looking for a resting place for your loved one. It can be comforting to have family members located in the same burial area, keeping the deceased together after they are gone. Some people want the comfort of having a headstone where they can visit and share memories as desired. This resting place can be used for both cremated remains and casket burial. Some people choose an immediate burial, meaning the remains are placed in the burial plot without a formal gathering or other funeral services. Or, the burial can be paired with other services, including a funeral, visitation, and more. For those families looking to keep costs low, then it might make sense to skip the cemetery burial. Cremation allows other options, such as scattering or a memorial urn. Many expenses are associated with a cemetery burial, including the gravesite, casket, entombment, headstone, and more. On the other hand, it is easy to keep expenses low when direct cremation and scattering is the preference. Should Cremation Be Paired with a Funeral or Memorial? As you are considering your options for funeral and cremation in Essex Fells, NJ, don’t overlook the benefits that are available from cremation. Some people mistakenly think that cremation means that no funeral or gathering will be held for friends and family. But, cremation is only a portion of the funeral plan. This step is the way the body will be cared for; it does not affect the other services that are selected for your event. Families often find it beneficial to hold a funeral with the cremation. You can have the body present for a traditional funeral first, then schedule the cremation after that event is finished. Or, you might choose to hold a memorial after the cremation, with the ashes present in the urn for the gathering. The most important thing that you need to remember is that the details of this event aren’t as important as the time for friends and family members to gather. People need a chance to say goodbye, share memories, and honor the life that was lost. So, it is usually a good idea to schedule a formal or informal gathering, helping everyone have time to work through the grief. This event is a time when you can begin the healing process after losing someone that you love.